Life is all about small joys. Little things that make you smile or feel grateful for your blessings. The moment when your favourite song from back in the day comes on the radio, or when you and your best friend randomly start talking in weird voices/accents, and break out into laughter as you realize that no one else would understand the hilarity of the situation. 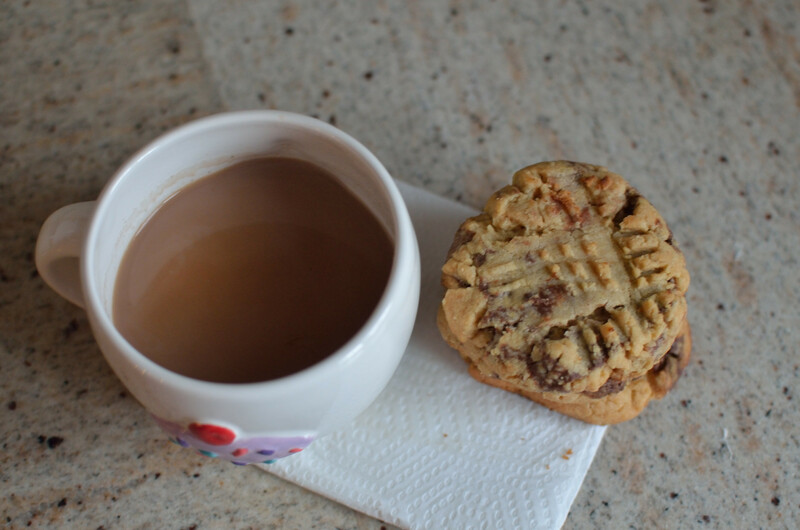 Sometimes, you don’t need anything huge and complicated, sometimes a simple Peanut Butter Nutella cookie with tea is the perfect ending to a perfect day. I came across these cookies on a blog called Little B Cooks, and the moment I saw them I knew I had to make them for my brother. 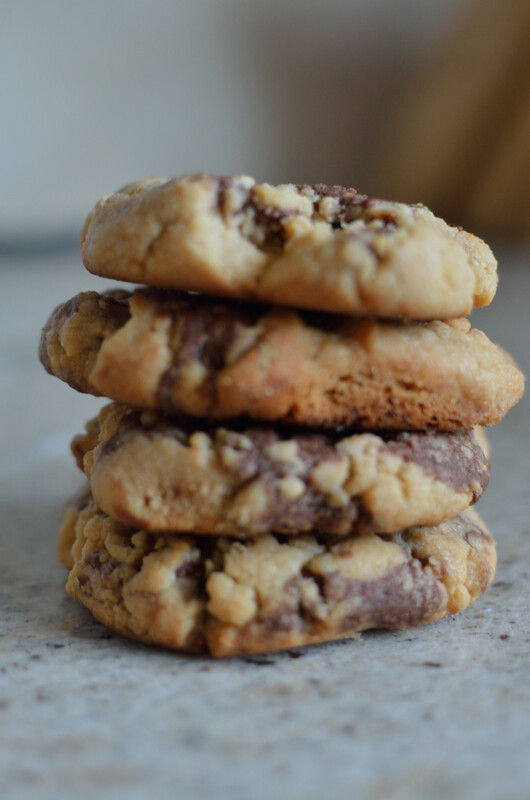 He loves peanut butter and Nutella, so putting the two together in cookie form just makes perfect sense! 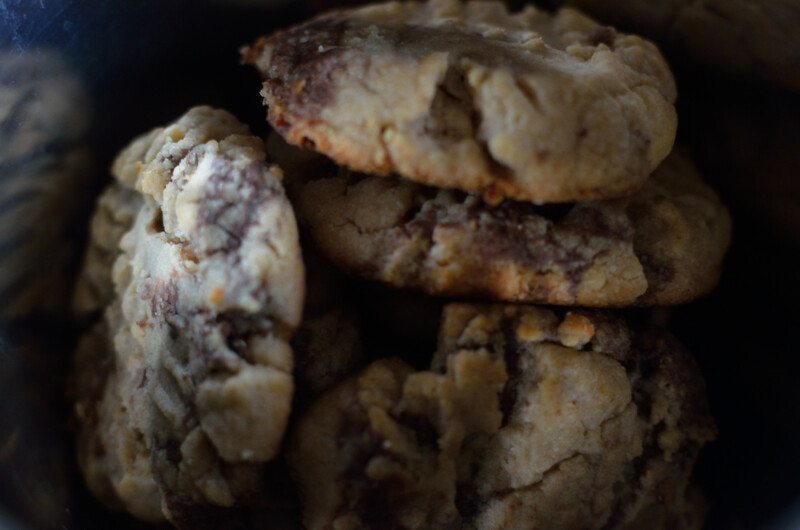 This recipe is pretty straight forward, with a peanut butter cookie base, and some Nutella drizzled in throughout the dough. 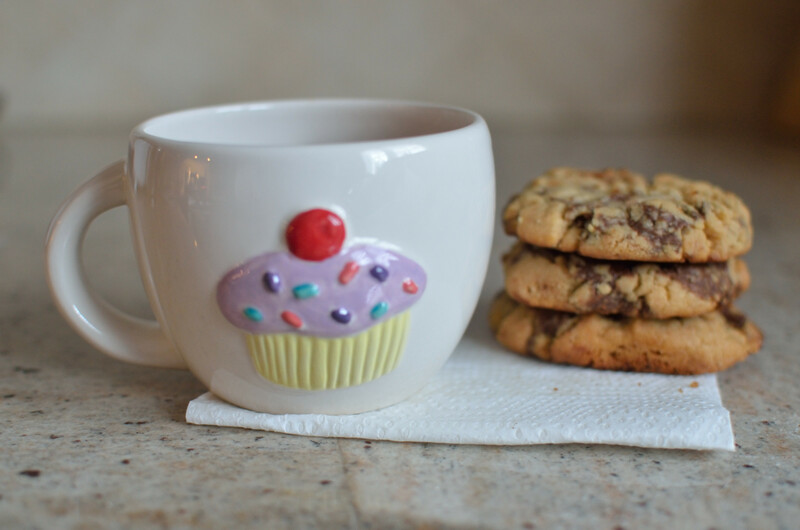 I would recommend making smaller cookies than I did, just because they would look so much cuter than bigger ones. If you’re in the mood to throw in some extra calories, you could make mini sandwich cookies with nutella buttercream filling. My family loved these cookies soooo much! I hope you try them out, and let us know how they turn out! As things are getting a little bit hectic with exams and life in general, our posts will not be weekly for the next little while, but do come and check up on the blog whenever you get a chance! Thanks for spending some time with us, we’ll see you when we see you! Enjoy the small joys in your day! In the bowl of an electric stand mixer add both sugars, peanut butter, butter, vanilla and egg and mix until smooth and creamy. In a separate small bowl whisk together the flour, salt and baking soda. Gradually add the flour mixture to the wet ingredients, mixing until just combined. Add the Nutella and using a knife swirl it into the batter. Refrigerate for 15 minutes. While it’s in the refrigerator, preheat your oven to 350 and spray 2 cookie sheets with cooking spray. When the dough is done chilling, scoop about a 1/4 cup of dough out and roll it into a ball and place on cookie sheet (no more than 12 on a cookie sheet). With a fork, press down gently on each cookie to flatten it a bit and to give it the cookies a nice pattern on top. Bake for 12-15 minutes.